Context: Pathogenesis of autoimmune diseases (AD) is one of a multifactorial milieu. A genetic predisposition, an immune system failure, hormonal imbalance and environmental factors play important roles. Among the many environmental factors, the role of infection is gaining importance in the pathogenesis of various autoimmune disorders; among them, Epstein–Barr virus (EBV) plays a pivotal role. Literature states an association of various AD with EBV namely multiple sclerosis, autoimmune thyroiditis, systemic lupus erythematous, oral lichen planus (OLP), rheumatoid arthritis (RA), autoimmune hepatitis, Sjögren's syndrome and Kawasaki disease; among these, the most commonly occurring are OLP and RA. Aim: Considering the frequency of occurrences, our aim was to perform a qualitative analysis of EBV viral capsid antigen (EBV VCA) IgG in the sera of patients with RA, OLP and establish a comparison with normal. Settings and Design:In-vitro experiment in a research laboratory. Subjects and Methods: Five-milliliter blood sample was collected from 25 patients diagnosed with RA and OLP. Serum was separated and EBV VCA IgG antibody titer was detected using NovaTec EBV VCA IgG ELISA kit. Statistical Analysis Used: Chi-square test. Results: Six out of 25 subjects with RAand 4 out of 25 subjects with OLP tested positive for EBV VCA IgG. Conclusions: Both environmental and genetic factors are important contributory components for autoimmune conditions. Screening for viral etiology would improve the efficacy of conventional treatment and reduce the risk of relapses. Context: Tissue eosinophilia in oral squamous cell carcinoma has been well - recognized. Studies have reported both favorable and unfavorable prognoses associated with tissue eosinophils in oral squamous cell carcinoma. However, the role of eosinophils in the development of tumor is still unclear. 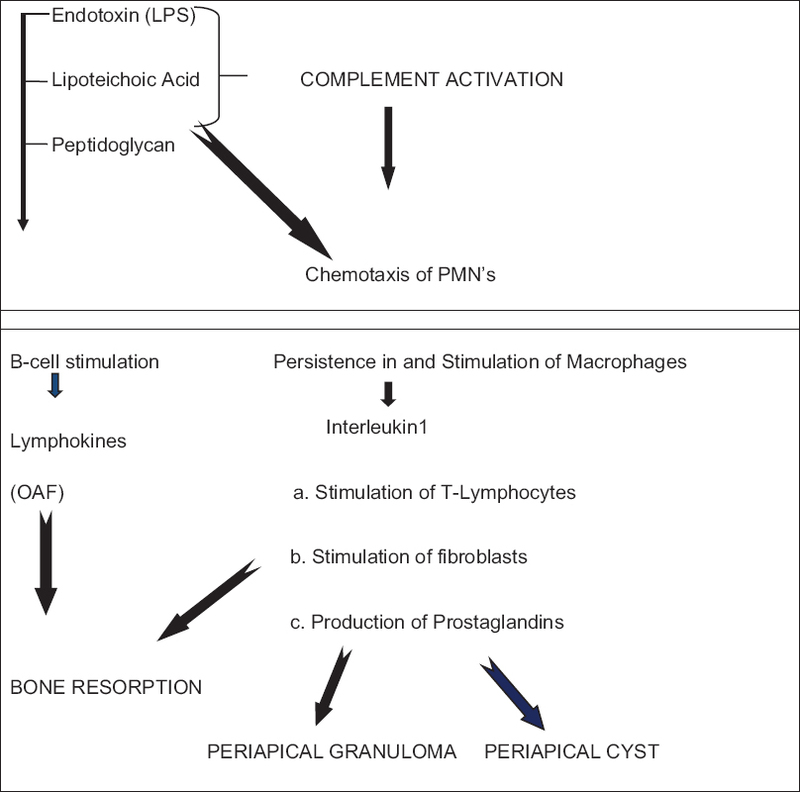 Aims: The present study was an attempt to elucidate the potential role of tissue eosinophils in oral leukoplakia, a potentially malignant lesion. Settings and Design: To count eosinophils in tissues of normal subjects and oral leukoplakia cases. To compare tissue eosinophil count (TEC) between normal and oral leukoplakia cases. To compare TEC between dysplastic and non-dysplastic cases of oral leukoplakia and to correlate with degree of epithelial dysplasia. Materials and Methods: A total of 85 cases (59 cases of oral leukoplakia and 26 normal oral tissues) constituted the study material. 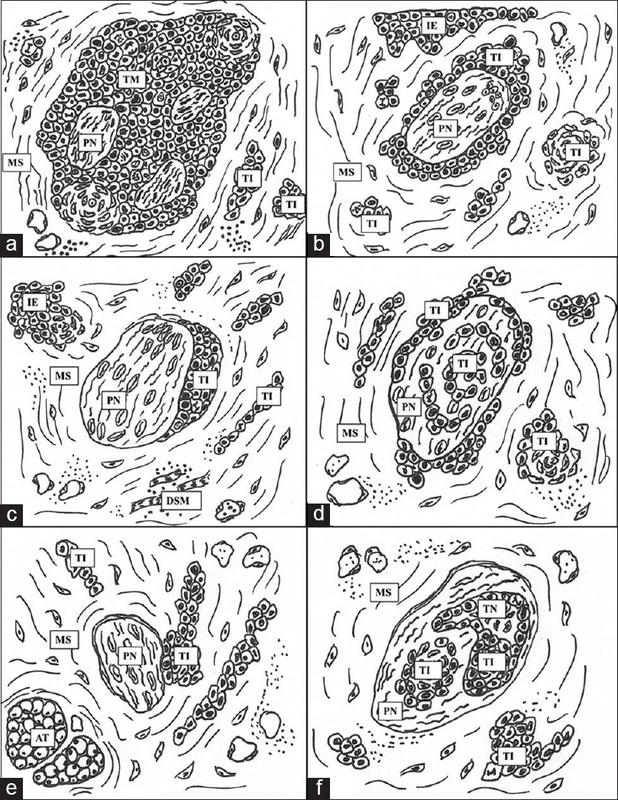 Tissue eosinophils were counted in 10 different high- power fields. Statistical Analysis Used: Non-parametric tests (Mann-Whitney U-test, Kruskal-Wallis test, Mann-Whitney post hoc analysis and Spearman's correlation statistics).Results: Mean eosinophil count (MEC) in oral leukoplakia cases was significantly more when compared to normal subjects. MEC in dysplastic cases of oral leukoplakia was significantly more when compared to those without epithelial dysplasia (Mann-Whitney U-test). Furthermore, MEC was directly proportional to the degree of epithelial dysplasia (Spearman's correlation statistics). Conclusions: TEC may be used as an adjunct to predict the malignant transformation of dysplastic cases of oral leukoplakia. 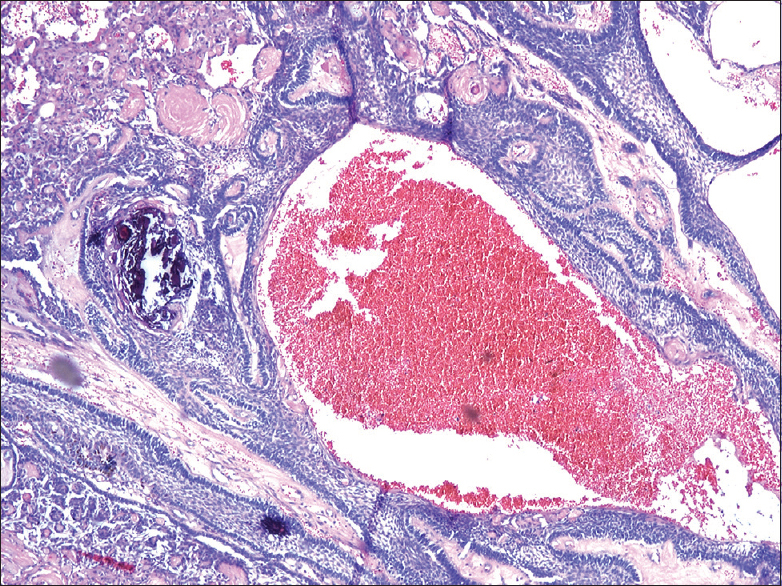 Eosinophilic infiltration in oral dysplastic cases should prompt a thorough evaluation for invasiveness, especially when features of invasion are absent or suspected in smaller biopsy specimens. Use of TEC as a prognostic indicator demands larger sample size and mandates long-term follow-up. Aim: Tenascin, a glycoprotein, is one of the major constituents of extracellular matrix, which may function in organizing the stroma in normal and pathological conditions. The study aimed to correlate the structural organization of tenascin with the pathological progression of disease from early, moderate and advanced changes in oral submucous fibrosis (OSMF). 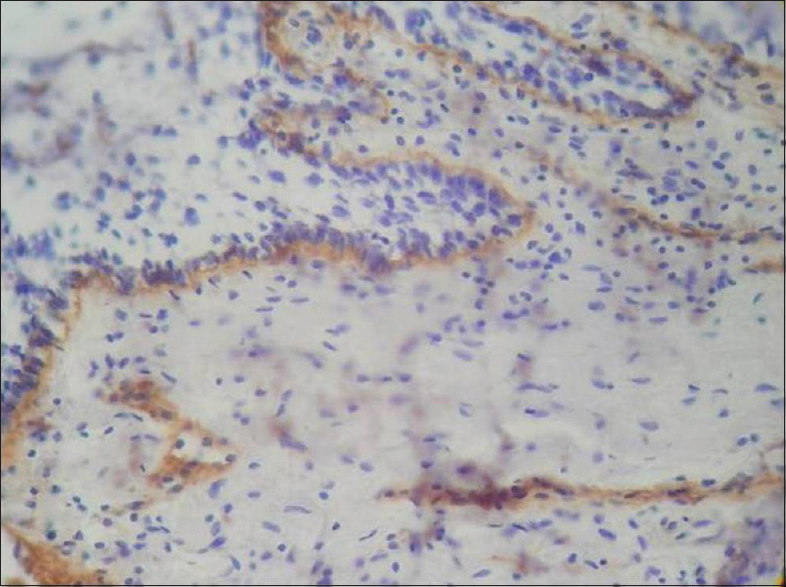 Study Design: A retrospective cross-sectional immunohistochemical (IHC) analysis of OSMF cases was performed. Total 70 slide samples were prepared for the study from 35 formalin-fixed paraffin-embedded tissue blocks with 10 each from histologically proven and graded as early, moderate and advanced OSMF and 5 of normal oral mucosa. The IHC sections were analyzed for the intensity and pattern of tenascin expression at the junction of epithelium and connective tissue (ECJ) and deeper connective tissue (CT), as well as presence or absence of staining around inflammatory cells, fibroblast and endothelial cells using anti-human tenascin. Result: Most of the OSMF cases showed retention of antigen at ECJ and in deeper CT. Its expression varied in different grades as well as around inflammatory cells, fibroblast and endothelial cells in same tissue section. Highly significant P values of 0.001 and 0.003 were obtained for tenascin intensity and pattern, respectively, at ECJ in different OSMF grades. In addition, for the expression of tenascin pattern in deeper CT among different OSMF grades, a significant P value of 0.018 was obtained. Conclusion: A differential expression of tenascin was observed with the progression of disease. The expression of tenascin as bright and continuous deposition at ECJ in early and moderate stages of OSMF signifies either proliferative organization within the overlying epithelium or an epithelial-mesenchymal interaction. However, a weak immunoreactivity of tenascin at ECJ was observed in advanced stage of OSMF. Aims: To evaluate the cell proliferation rate by the expression of proliferating cell nuclear antigen (PCNA) and argyrophilic nucleolar organizing region (AgNOR) counts and to assess its usefulness as a marker for malignant potential in oral epithelial lesions. Materials and Methods: The study group included 30 cases of leukoplakia, 15 nondysplastic (NDL), 15 dysplastic (DL), 15 cases of oral squamous cell carcinoma (OSCC) and 5 cases of normal oral mucosa. 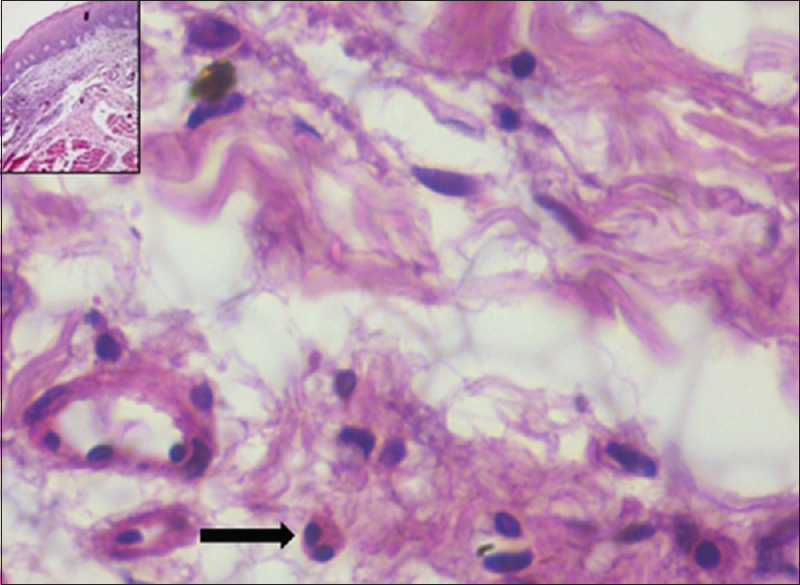 Formalin fixed paraffin embedded tissues were subjected to immunohistochemical staining for PCNA and AgNOR technique. The PCNA labeling index (LI) and the AgNOR dots were evaluated for the entire sample. Statistical Analysis Used: ANOVA, Tukey honestly significant difference, Pearson's correlation. Results: In this study, the AgNOR count of OSCC was lower than the DL lesions moreover the AgNOR counts were found to be higher in normal mucosa as compared to the DL and the NDL epithelium. The study results also showed that the mean AgNOR count failed to distinguish between DL and NDL lesions. Overall we observed increased PCNA expression from normal epithelium to NDL to DL lesion. Conclusions: Based on the findings of the present study on oral epithelial precancerous and cancerous lesions we conclude that mean AgNOR count alone cannot be a valuable parameter to distinguish between the normal, NDL, DL epithelium and OSCC but, on the other hand, we found out that PCNA can be a useful biomarker for delineating normal epithelium from DL epithelium and OSCC. Background: Surgical pathology is an integral part of diagnosis and management planning in patient care. In the absence of widespread automation, many small laboratories are unable to provide this service due to lack of time. Currently, the shortest processing schedule for formalin-fixed paraffin-embedded tissues is 16 working hours; most small laboratories cannot complete the rapid schedules within the average 8–9 working hours. Thus, the availability of an 8–9 h processing schedule that provide satisfactory results can help many small laboratories in routinely providing surgical pathology services. Objectives: To evaluate the effectiveness of a new rapid processing schedule and compare it with two existing rapid processing schedules. Materials and Methods: This animal study tested a new rapid processing schedule suggested by authors with overnight preprocessing in 60% isopropyl alcohol followed by an 8 h processing schedule. This was tested and compared with the rapid processing schedules described by Godkar's (11 h) and Bancroft's (2 working days). A routinely used automatic tissue processor long cycle (17 h) was the control. Each schedule was used on 20 tongue specimens. The prepared slides were evaluated for surface area and linear tissue shrinkage, ease of sectioning, quality of hematoxylin and eosin staining, histological appearance and artifacts. Results: No statistical differences were found between schedules. Overall total average performance ranking placed Bancroft's schedule as the best with only 27.9% of the sections processed and stained showing any shortcomings, followed closely by the test schedule suggested by authors (28.7%), Godkar's (31.8%) and the automatic processor schedule/control (33.3%). Conclusion: The test results indicated that the schedule devised by authors is an effective rapid processing cycle that produces diagnostic quality histological results when compared with other conventional processing schedules for small tissue blocks (average 6 mm × 8 mm). Background: Liquid-based cytology (LBC), recommended in the mass screening of potentially malignant cervical and oral lesions, suffers from high cost owing to the use of expensive automated devices and materials. 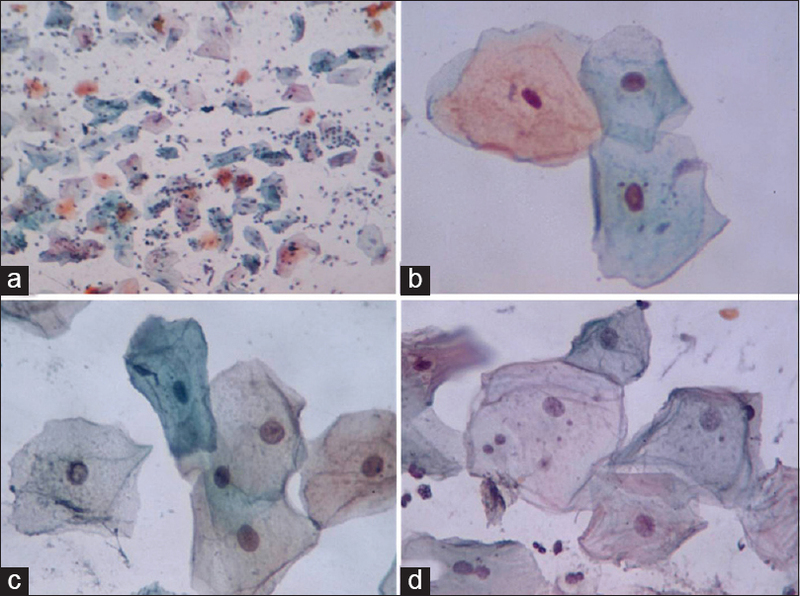 Considering the need for cost-effective LBC techniques, we evaluated the efficacy of an inexpensive manual LBC (MLBC) technique against conventional cytological technique in terms of specimen adequacy and smear quality of oral smears. Materials and Methods: Cytological samples were collected from 21 patients using a cytobrush device. After preparation of a conventional smear, the brush containing the remaining sample was immersed in the preservative vial. The preserved material was processed by an MLBC technique and subsequently, direct smears were made from the prepared cell button. Both conventional and MLBC smears were stained by routine Papanicolaou technique and evaluated by an independent observer for the thickness of the smear, cellular distribution, resolution/clarity of cells, cellular staining characteristics and the presence of unsatisfactory background/artifacts. Each parameter was graded as satisfactory; or satisfactory, but limited; or unsatisfactory. Chi-square test was used to compare the values obtained (significance set at P ≤ 0.05). Results: MLBC technique produced a significant number of satisfactory smears with regard to cell distribution, clarity/resolution, staining characteristics and background/artifacts compared to conventional methods. Conclusions: MLBC is a cost-effective cytological technique that may produce oral smears with excellent cytomorphology and longer storage life. Background: Human cytomegalovirus (CMV) infection has tropism for salivary gland ductal epithelium and establishes a persistent and lifelong infection. Mucoepidermoid carcinoma (MEC) is the most common salivary gland tumor. Recent studies have established that mouse CMV-induced tumorigenesis displays histologic and molecular characteristics similar to human MEC. We wished to explore further down the lane by analyzing the expression of pp65 and the key oncogenic signaling pathway in cases of MEC and their etiological relevance in the Indian scenario as a pilot study. 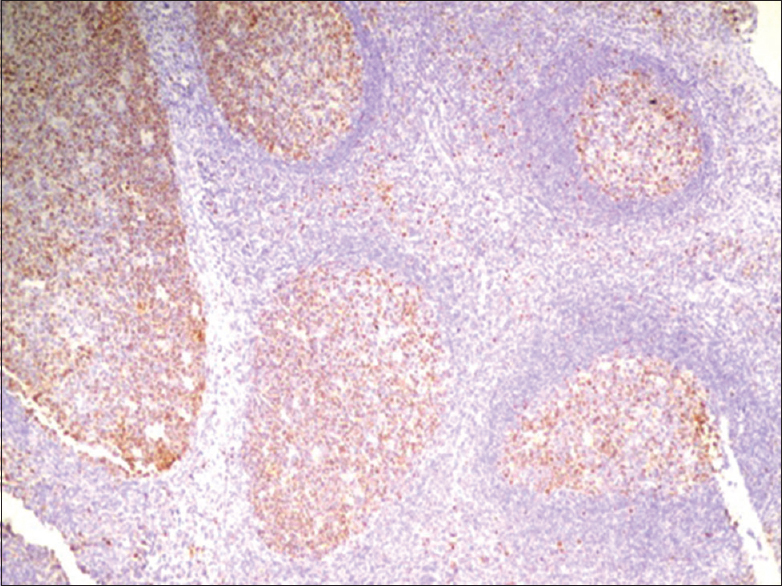 Materials and Methods: Histopathologically confirmed cases of MEC (n = 4) and normal salivary gland tissue (n = 4) were subjected to immunohistochemical analysis using the markers pp65 and epidermal growth factor receptor (EGFR). Results: The pp65 antigen expression was found to be negative in all the studied cases and one case of high-grade MEC showed EGFR expression. Conclusion: The purpose of the study was to explore the role of CMV in the development of MEC, as it might help to exploit this etiological agent as a therapeutic target. Similar to human papillomavirus (HPV), these might identify a subset of neoplasms with a varied biological behavior and alternative therapies. However, this vision is obscured by contradicting evidence in the literature. As of today, surgery remains the only best possible management for these patients unless proven otherwise. Background: The cementodentinal junction (CDJ) forms a biological and structural link between cementum and dentin. This biological link is regarded as a distinct tissue in its own right. Certain important proteins responsible for periodontal regeneration are said to be present in this tissue. Few studies have described the structure and composition of this layer by light and electron microscopy. Scanning electron microscopic studies pertaining to CDJ in health and disease are few and documentation of periodontal pathological changes of CDJ is unclear. In the first phase of our study, the collagenous architecture of CDJ of healthy teeth has been reported. Aim: The objective of this study is to observe and report periodontal pathological changes in the fibrous or collagenous architecture of CDJ of periodontitis-affected teeth and discuss the probable clinical implications of CDJ in disease.Materials and Methods: Twenty periodontitis-affected teeth were collected and processed for observing under a scanning electron microscope. Results: The results are as follows: Increased width of interface at CDJ in periodontitis samples (7.1 μ) compared to that of healthy samples; fewer areas of fiber intermingling at CDJ in periodontitis samples as compared to healthy samples; frequent detachment of cementum from dentin during sodium hydroxide maceration of samples. Conclusion: It may be inferred from results that there is a possibility of a definite weakening of CDJ in periodontally affected root surfaces and we believe that clinical procedures such as scaling and root planning may have a detrimental effect on the cementodentinal attachment of periodontally involved root surfaces. Background: The aim of this study was to review the clinicopathologic features of reactive hyperplastic lesions (RHLs) of the oral cavity at a Tertiary Health Institution in Kerala and compare these data with those of previously reported studies. Materials and Methods: The patient case files from the Department of Oral and Maxillofacial Pathology during the period between January 2007 and December 2011 were reviewed for cases of RHLs of the oral cavity. Both clinical and histopathological diagnoses of reactive lesions were selected for the study. Data including the type of the lesion, age, gender and the site involved were collected. Results: From a total of 2753 cases reviewed, 295 histologically diagnosed cases of RHLs were obtained with a prevalence of 10.7%. The data consist of 85 (28.8%) males and 210 (71.2%) females. The most common lesion clinically was traumatic fibroma (69.3%) and histologically fibrous hyperplasia (51.9%). 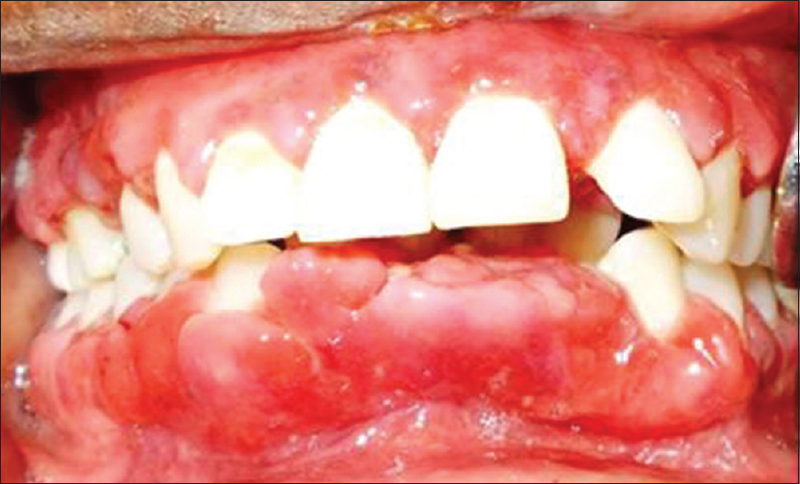 The reactive lesions clinically presented as either sessile (54.9%) or pedunculated (45.1%) lesions. Conclusion: The clinical features of reactive hyperplasia among our patients were similar to those reported previously with divergence in some analyzed data. The novelty in our study was the correlation between histopathology and clinical features which were not reported in literature until date. Background and Objectives: Oral cancer constitutes 3% of all neoplasms and is the eighth most frequent cancer in the world. Oral squamous cell carcinoma (OSCC) corresponds to 95% of all oral cancers. It is associated with severe morbidity, recurrence and reduced survival rates. Its prognosis is affected by several clinicopathologic factors, one of which is perineural invasion (PNI). 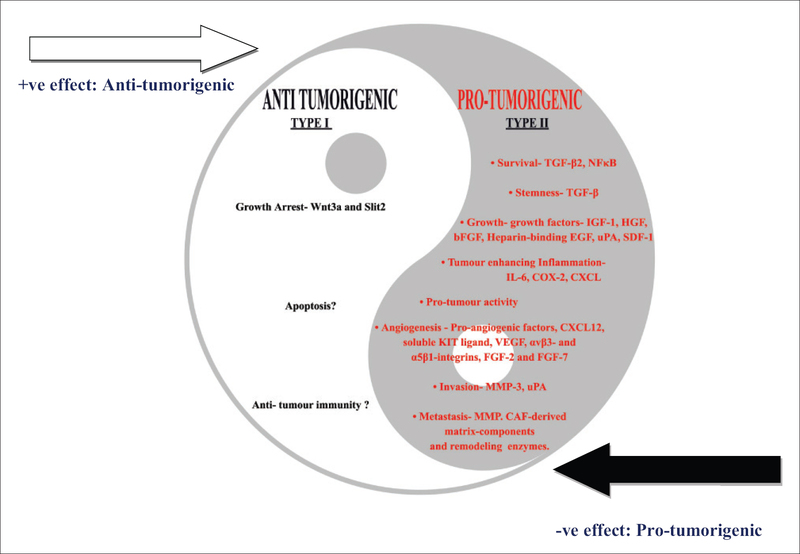 It is the third most common form of tumor spread exhibited by neurotropic malignancies that correlate with aggressive behavior, disease recurrence and increased morbidity and mortality. In this retrospective study, our aim was to assess the presence of PNI in different grades of both primary and recurrent cases of OSCC correlating it with tumor size and lymph node status. The various patterns of PNI we encountered were also noted. Materials and Methods: PNI was assessed in 117 cases of primary and recurrent cases of OSCC. PNI was correlated with tumor thickness, lymph node status and with the different histologic grades. Location of PNI, density of PNI and various patterns of PNI were also assessed. Statistical Analysis: Chi-square test. Results: Our study showed that 47 out of 117 patients (40.5%) showed PNI. Both primary and recurrent tumors showed PNI of 42.50% and 40.50%, respectively. PNI was present in 34 out of 69 cases (49.3%) of clinically positive nodes. Around 79% of the nerves involved by PNI were intratumoral in location, 80% of the cases showed PNI density of 1–3 nerves per section and incomplete and/or “crescent-like” encirclement was the most common pattern of PNI noted in our study. Conclusion: Our study showed that the incidence of PNI was as high as 40% in OSCC. PNI was present in both primary and recurrent tumors, irrespective of its histologic grading. Tumor thickness and lymph node status correlated well with PNI. Therefore, the presence of PNI should be checked in every surgical specimen with OSCC as it gives significant prognostic value, influences treatment decisions, recurrence and distant metastasis. The presence of PNI necessitates more aggressive resection, coincident management of neck lymph nodes and the addition of adjuvant therapy. Also, targeted drug therapy for this type of tumor spread can open up new avenues in the treatment of OSCC. Background: Fixation is the most imperative step in the practice of diagnostic histopathology, which is intimately linked to 10% formalin. As a result of increasing concerns about the potential carcinogenicity of the formaldehyde, attempt to find safer alternatives is necessary. Honey has been shown to possess antimicrobial, antiviral and antimutagenic properties. Many studies have reported that honey possesses dehydrating and preserving effects also. Aims and Objectives: To study the fixative properties of processed and unprocessed honey in oral tissues followed by comparision with formalin. Materials and Methods: The study group comprised 12 different tissues. Each tissue was cut into 3 segments and were immediately fixed in bottles containing 10% unprocessed honey, 10% processed honey and 10% formalin, respectively, for 24 h at room temperature. After fixation, tissues were processed using the routine standard processing protocol followed by hematoxylin and eosin staining. Data were statistically analyzed using descriptive statistics such as mean, standard deviation and percentage. Kruskal–Wallis test followed by post hoc Dunn's multiple comparisons test and Chi-square test or Fisher's exact test for small sample size. A P < 0.05 was considered as significant. Data analysis was done by using software Minitab v14.0. Results: When all the stained sections were assessed for the parameters, there was no statistically significant difference between tissues fixed in processed and unprocessed honey compared to formalin (P = 0.004). The tissue morphology and staining adequacy for diagnosis in honey fixed tissue was at par with formalin fixed tissue. Hence, our results suggest that both processed honey and unprocessed honey can be used as a safe alternative for formalin. Periodontal Disease includes a wide variety of infectious entities with various clinical manifestations in the oral cavity and responses to treatment. 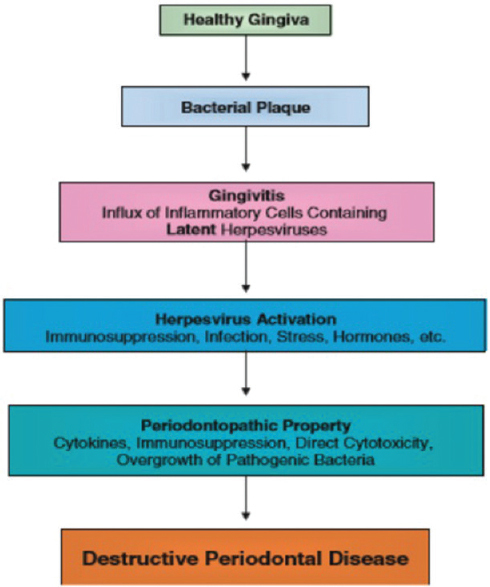 The determinants of clinical manifestations of periodontal disease include the type of infectious agent, the host immune response and environmental factors. Aggressive periodontitis (AP) is defined as a type of inflammation with specific clinical and laboratory features, which distinguish it from other types of periodontitis, with high incidence rates in a sub-group of individuals. Bacteria have been frequently mentioned as the agent inciting gingival inflammation and tissue destruction that underlies the pathogenesis of periodontitis. However, recent studies, with some controversial results, have suggested that the herpes family of viruses, including CMV and EBV-1 as well as papillomaviruses, HIV, Human T-lymphotropic virus type 1, Torquetenovirus and hepatitis B and C occur with high frequency in active periodontal lesions. There is a lack of information about this disease and the role of herpesviruses in its pathophysiology. This review provides a critical analysis of the scientific evidence linking bacteria and viruses with AP and their potential impact on clinical characteristics, prognosis and therapy. There is no greater association between the basic science and the practice of endodontics than that of microbiology. 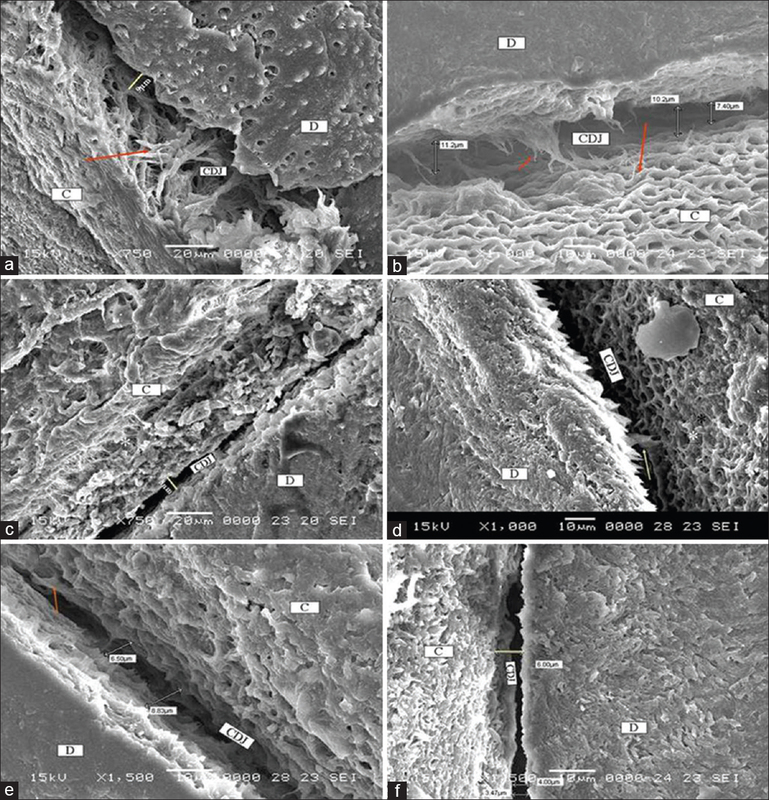 One of the strongest factors contributing to the controversies often encountered in the endodontic field is the lack of understanding that the disease processes of the pulp and periradicular tissues generally have a microbiological etiology. The vast majority of diseases of dental pulp and periradicular tissues are associated with microorganisms. After the microbial invasion of these tissues, the host responds with both nonspecific inflammatory responses and with specific immunologic responses to encounter such infections. The aim of this study is to fill the gaps in our knowledge regarding the role of microorganisms in endodontics and to discuss in depth whether their presence in periradicular lesions is a myth or a reality. An electronic search was carried out on PubMed database (custom range of almost 50 years) and Google using specific keywords and phrases. Inclusion and exclusion criteria were specified and around 50 articles were found suitable for inclusion. Full text of all the articles was retrieved and studied. Appropriate data were extracted and pooled and finally synthesized. It is important to understand the close relationship between the presence of microorganisms and endodontic disease process to develop an effective rationale for treatment. The diagnosis between different diseases may be impaired by clinical and histopathologic similarities, as observed in the oral lichen planus (OLP) and oral lichenoid lesion (OLL). Inspite of similar clinicopathological features; etiology, diagnosis and prognosis differ which mandates separation of OLL from OLP. Hence, it is essential for the oral physician and oral pathologist to be familiarized with the individual variations among clinicopathological features of OLP and OLL as well as to obtain a thorough history and perform a complete mucocutaneous examination in addition to specific diagnostic testing. The difficulties faced to establish the diagnosis between these two pathologies are widely investigated in the literature with a lack of definite conclusion. This review is an attempt to throw some light on these clinicopathologic entities with the aim to resolve the diagnostic dilemma. Odontogenic ghost cell carcinoma (OGCC) is an exceptionally rare malignant odontogenic epithelial tumor. It is characterized by ameloblastic-like islands of epithelial cells with aberrant keratinization in the form of ghost cells with varying amounts of dysplastic dentin. Malignant histological characteristics include infiltration, cellular pleomorphism, numerous mitosis and necrosis. Its biological behavior varies from slow-growing locally invasive lesions to rapidly growing highly aggressive tumors. OGCC metastasizing to distant sites is extremely rare. Only three cases of metastasis have been reported in literature. 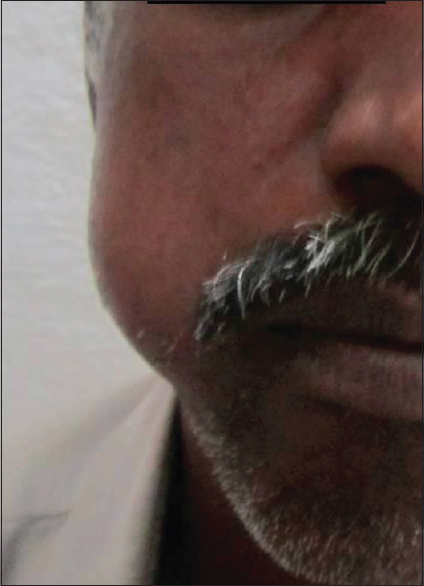 We are reporting the case of a 54-year-old male patient who presented with tender swelling in the malar region. Histopathological examination revealed OGCC and he received postoperative radiotherapy. Two years later, he presented with a lung mass. 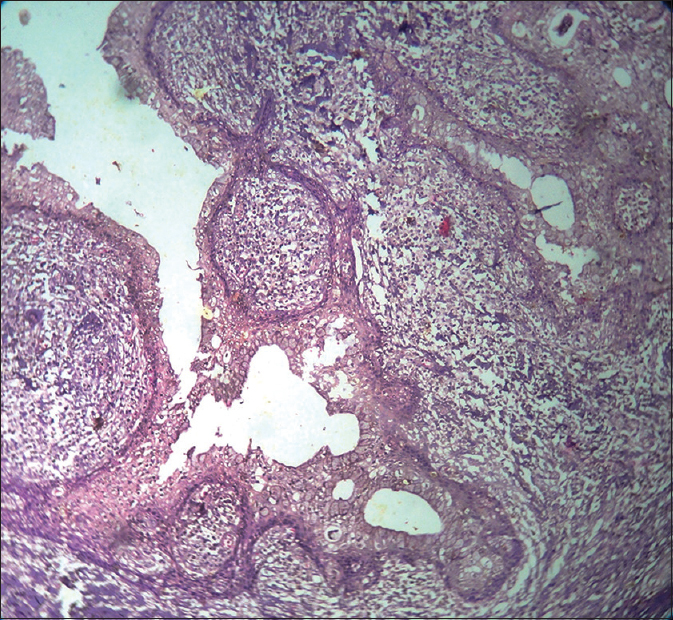 Biopsy from the lung lesion showed the same morphology as that of maxillary tumor with scattered ghost cells. This case points to the aggressive behavior of OGCC and its metastatic potential. It also highlights the need for long-term follow-up of these patients. Mucormycosis is an opportunistic acute fungal infection with a high mortality rate seen in immunocompromised patients. It is extremely rare in heart transplant recipients. Rhinocerebral mucormycosis (RM) is the most frequently observed presentation. We report a case of RM in a heart transplant recipient 5-month after the procedure, with a fatal outcome. Oral cavity is an uncommon site for metastasis and is usually an evidence of widespread disease. The clinical presentation of the metastatic lesions differs between the various sites in the oral region. Metastatic tumors account for 1–3% of all oral malignancies. The jawbones, particularly the mandibular molar area is more frequently affected than the oral soft tissues (2:1). 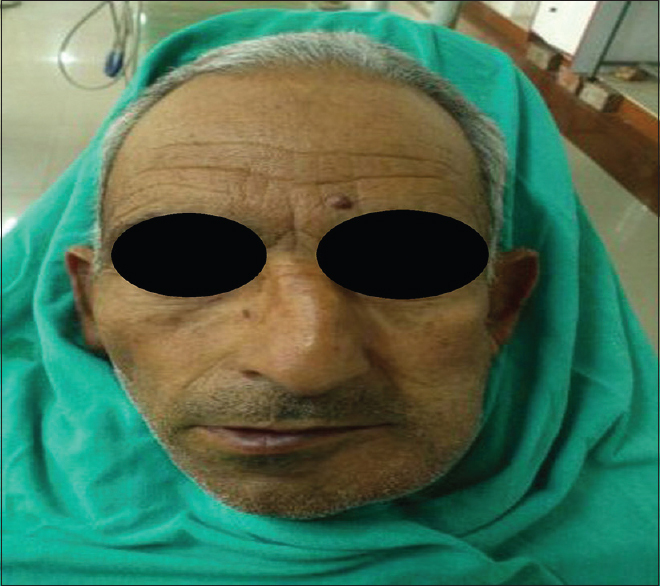 Here, we report a case of a 60-year-old male patient with metastasis from lung to the mandible, where the metastasis was detected before primary tumor. 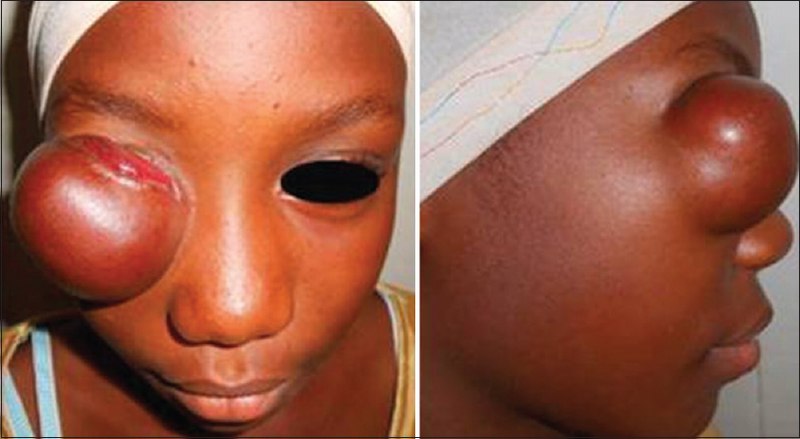 A case report of trifid and aplastic condyle in a 26-year-old female has been discussed. 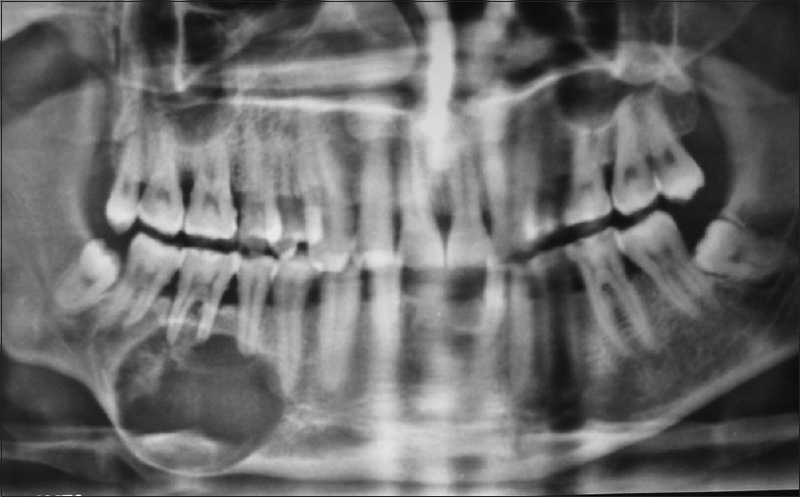 A marked oval radiolucency in the head of right condyle and absence of left condyle was observed on a panoramic radiograph. Diagnosis of trifid condyle was established and confirmed using computed tomography. 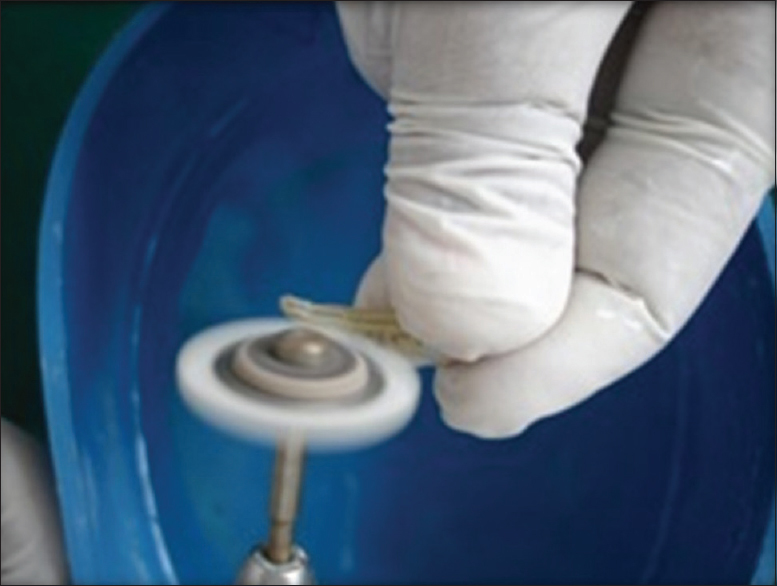 Magnetic resonance images showed degenerative changes of the disc. Background: Age estimation is an important factor in the identification of an individual in forensic science. Research indicates that cemental annulations may be used more reliably than other morphological or histological traits of human skeleton for age estimation. Materials and Methods: Twenty-five teeth were sectioned longitudinally, and twenty-five teeth were cross-sectioned at the mid portion of the root. Sections were ground, mounted and viewed under a bright light microscope. The area selected for counting was photographed under ×10 objective, magnified 5 times; cemental lines were counted and added to the eruption age of that patient, to obtain the chronological age. The statistical software SAS 9.2, SPSS 15.0, Stata 10.1, MedCalc 9.0.1, Systat 12.0 and R environment ver.2.11.1 were used for the analysis of the data. Results: The P value comparing actual age and calculated age using longitudinal sections is moderately significant and the P value comparing actual age and calculated age in the age group of <30 years is significant. 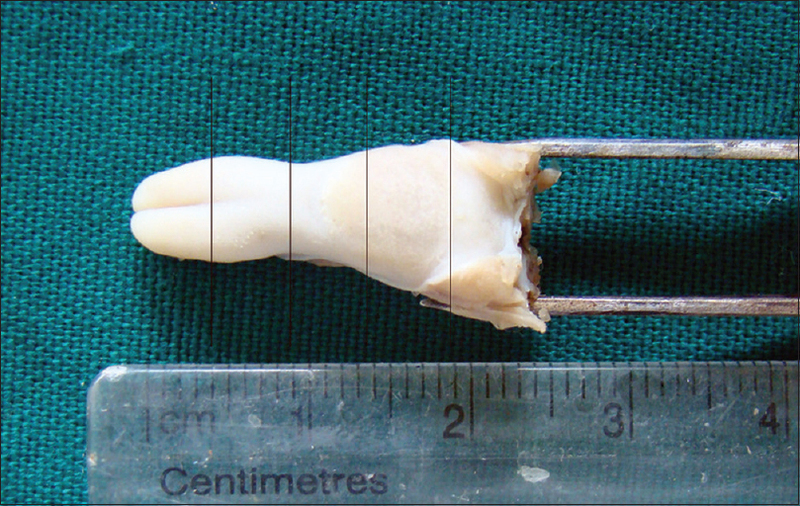 Interpretation and Conclusion: The middle third of tooth root was most suitable to count annulations. The cross sections are easier to count but longitudinal sections give more appropriate results on age estimation. Though the procedure predicts under assessment of age in the younger age group and over assessment of age in the older age group, it provides a close estimate of the actual age of an individual. It can be correlated with other age estimation methods for better reliability. Inverted papilloma is a benign epithelial growth in the underlying stroma of the nasal cavity and paranasal sinuses. 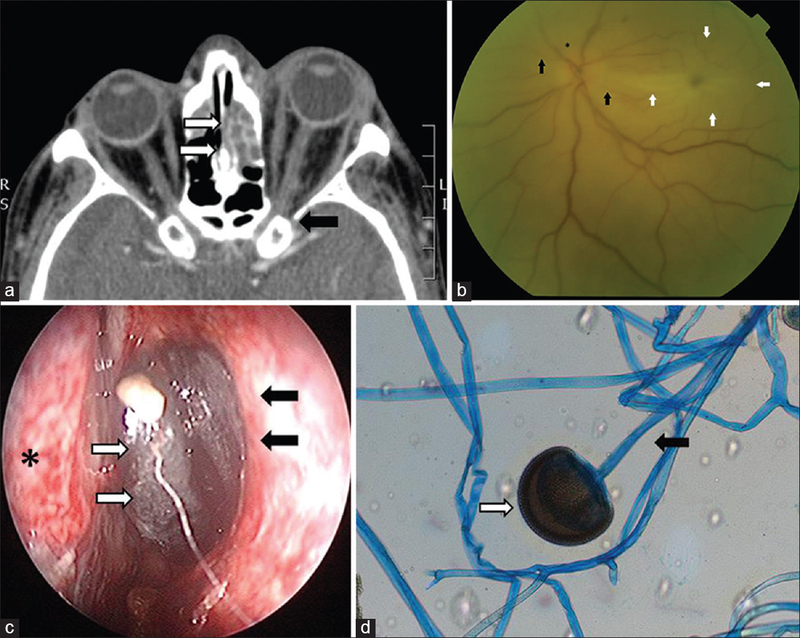 The pathogenesis of this lesion remains unclear although allergy, chronic sinusitis and viral infections have been suggested as possible causes. The tumor is well known for its invasiveness, tendency to recur and association with malignancy. Recurrence rates of inverted papilloma are unacceptably high, which actually represents residual disease in most cases. In this study, we have presented a case report and reviewed the histological features of sinonasal inverted papilloma. The term ossifying fibroma (OF) has recently been included under fibro-osseous lesions. Cemento-OF (COF) is a benign neoplasm that arises from the periodontal membrane which contains multipotential cells that are capable of forming cementum, lamellar bone and fibrous tissue. These tumors occur in the third and fourth decades of life with a predilection for women. The mandible is more commonly involved than the maxilla. This lesion has caused considerable controversy regarding the use of terminology, origin and diagnostic criteria. 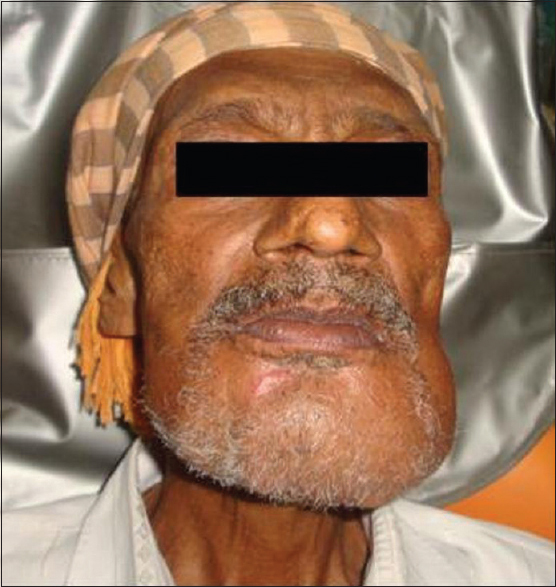 This article describes an unusual case of COF presenting as unilocular lytic lesion of mandible in a 38-year-old male patient with review of literature. 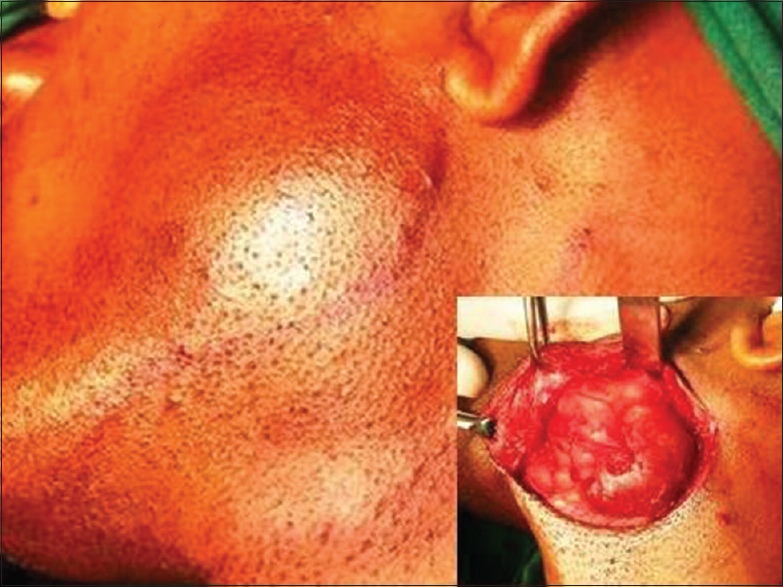 Squamous cell carcinoma (SCC) arising from the wall of an odontogenic cyst (also known as primary intraosseous carcinoma) is a rare tumor which occurs only in jaw bones. 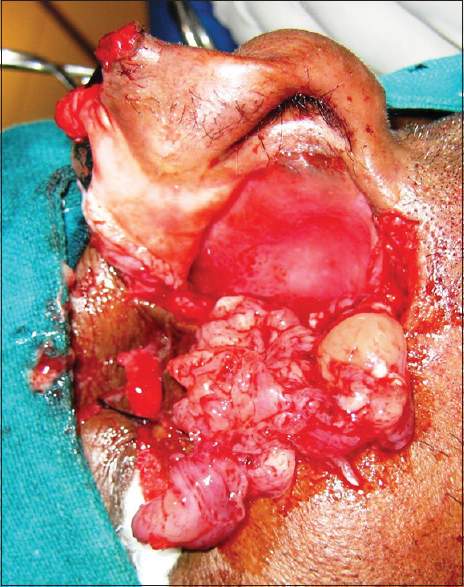 This tumor was first described by Loos in 1913 as a central epidermoid carcinoma of the jaw. 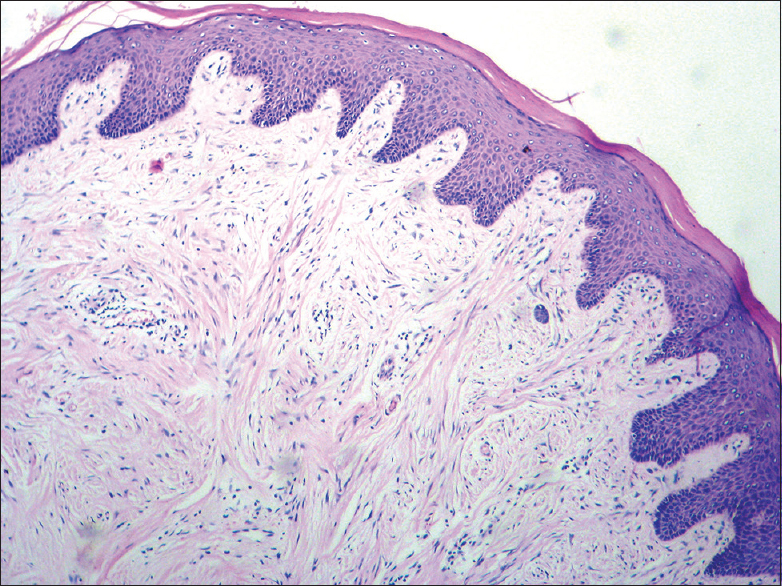 Primary intraosseous carcinomas (PIOC) may theoretically arise from the lining of an odontogenic cyst or de novo from presumed odontogenic cell rests. According to the new histological classification of tumors of the World Health Organization, odontogenic keratocyst is nowadays considered a specific odontogenic tumor and the PIOC derived from it is considered as a specific entity which is different from other PIOCs derived from the odontogenic cysts. 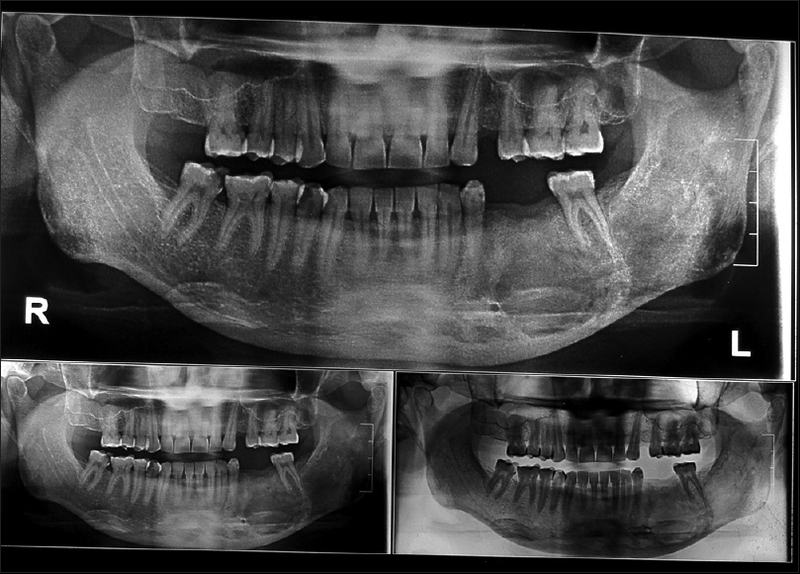 The following report describes a case of such extremely rare entity that is primary intraosseous SCC of the mandible derived from an OKC in a 60-year-old male patient with brief review of literature. Spindle cell hemangioma (SCH) is an uncommon tumor that usually presents as subcutaneous or deep dermal nodule affecting the extremities and is typically <2 cm in size. A few cases have been reported in the head and neck region. To the best of the authors' knowledge, there are no previous reports of SCH occurring in the orbit in the English literature. We, therefore, report the case of a large SCH involving the right orbit of a healthy 9-year-old Nigerian girl. Osteochondroma or osteocartilaginous exostosis is an exophytic lesion that arises from the cortex of the bone and is cartilage-capped. Osteochondroma of the mandibular condyle is extremely rare. The following is a case report of an osteochondroma of the mandibular condyle removed via extended preauricular approach to the temporomandibular joint. Congenital epulis, a benign tumor of the oral cavity, is an extremely rare condition in newborn. It may lead to mechanical obstruction, therefore resulting in respiratory distress and difficulty in feeding. Addressing the problem may need a multidisciplinary team approach at the time of birth. Antenatal ultrasonography and perinatal magnetic resonance imaging are an adjunct to treatment planning. Prenatal diagnosis remains difficult as the findings are nonspecific due to the late development of the tumor. Surgical excision is, therefore, the treatment of choice. Our report discusses this condition and the treatment thereafter on a newborn, with an epulis originating from the upper alveolar ridge discovered at birth. Histological examination confirmed the diagnosis of large polygonal granular cells. The mass was excised under general anesthesia, and the outcome was good after surgery allowing regular feeds on the second postoperative day. Orofacial granulomatosis (OFG) comprises a group of diseases characterized by noncaseating granulomatous inflammation affecting the soft tissues of the oral and maxillofacial region. It is important to establish the diagnosis accurately because this condition is sometimes a manifestation of many systemic conditions like Crohn's disease or sarcoidosis. The clinical outcome of OFG patients continues to be unpredictable. Current therapies remain unsatisfactory. 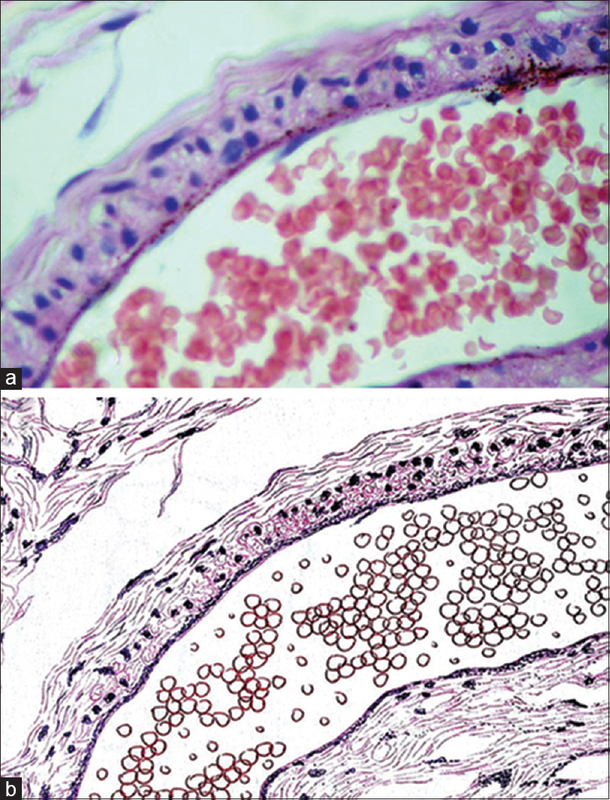 This article reports a rare case of isolated OFG with langhans type giant cells and inflammatory infiltrate without any systemic involvement, in which the condition was a manifestation of pregnancy. The diagnostic approach to and the treatment of OFG are reviewed. Hybrid lesions are the lesions consisting of association of features from different pathologies. We present a rare case of hybrid lesion with features of central giant cell granuloma (CGCG) and fibrous dysplasia (FD) involving mandible in a 33-year-old male. Hybrid lesions consisting of features of both benign fibro-osseous lesions and CGCG are very rare. Thus, the purpose of this paper is not only to present a rare case of hybrid lesion with features of CGCG and FD but also to emphasize on the need of careful clinical, radiological and histopathological examination of each and every tissue. There is an important need to report similar and other such cases, which will lead us to understand the interrelationship between these hybrid lesions in a better way and will further clarify their biologic behavior. This will decrease the incidence of misdiagnosis for such cases and will help in preventing recurrences. 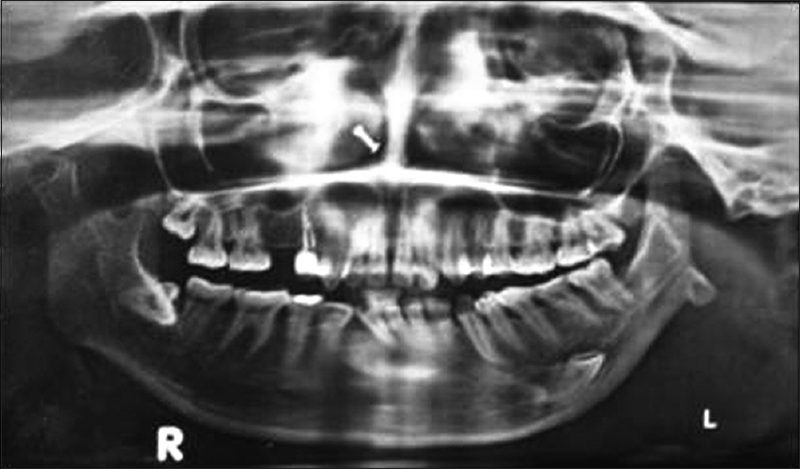 Epidermoid cysts are benign malformations that can be encountered anywhere in the body and are rarely observed in the oral cavity accounting for <0.01% of all cysts of the oral cavity. They can be classified as either congenital or acquired without any clinical or histologic differences. 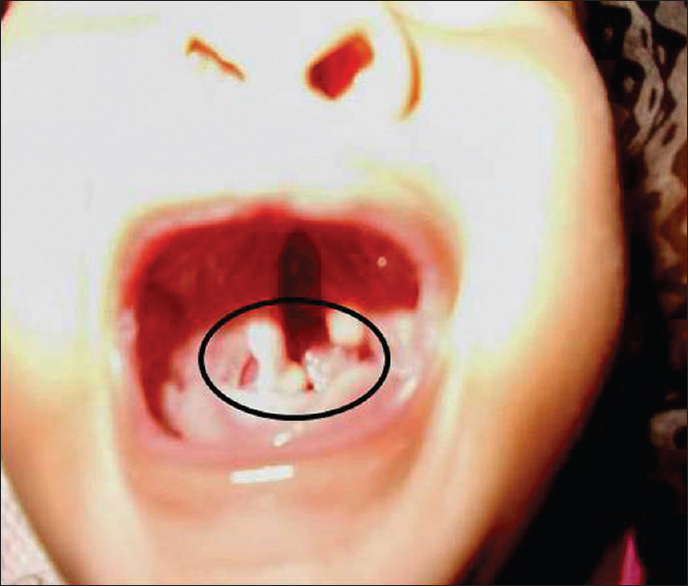 Our literature search did not find any report of a congenital epidermoid cyst located in the soft palate associated with a complete palatal cleft in an infant. This is a case report of a 9-month-old female patient who had a cleft palate with an associated soft tissue mass at the junction of soft palate and uvula.